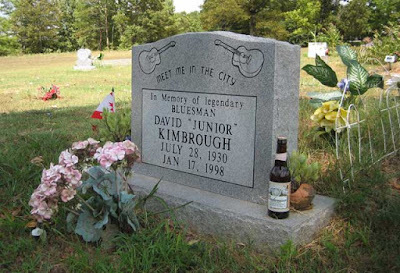 Today is dead bluesman day, because we say so, and no one can tell us not to write about eccentric old bluesman who drive tractors, spawn tons of kids and kill people. In poking around for photos of R.L. 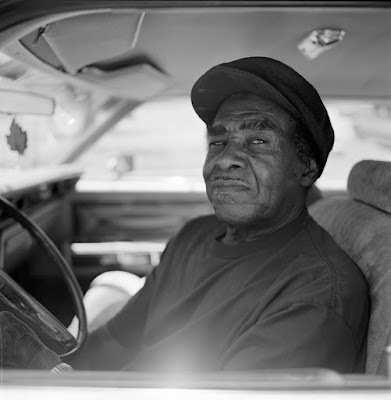 Burnside for Tom's excellent bio (see below) I stumbled upon this dude Junior Kimbraugh. I gotta say, I'm feeling it; especially this song. Judging by whats written on the man's tombstone...I'm not alone. 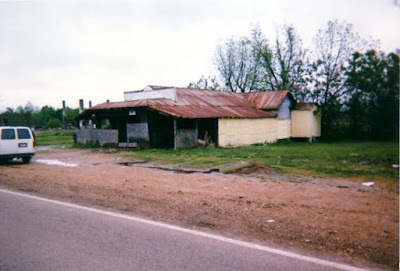 Fun Fact: Besides playing the blues like none other, Junior also ran this fine establishment (pictured below) called Juniors Juke Joint, which was apparently quite a popular spot before it burned to the ground.